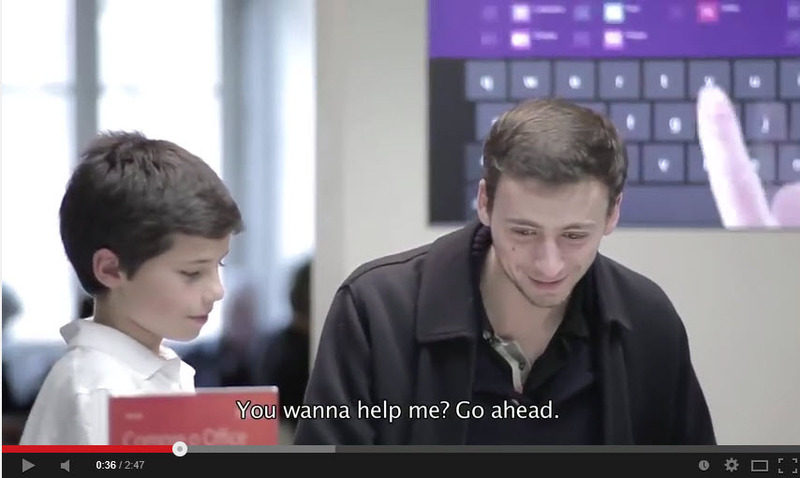 This is a cute little video demonstrating how easy Windows 8.1 is to learn and use. It’s so easy, in fact, that even a child can demo it! At least, that’s Microsoft’s position. Personally, I’ve long held that new technology is far easier for children to grasp and embrace simply because they’re much less prone to fight against it. Many adults are a bit stuck in their ways, and they seem unable or unwilling to accept change. This is probably true in areas other than technology (politics and philosophy come to mind), but in my experience it’s absolutely true when it comes to, say, switching from Windows 7 to Windows 8.1. I’ve always worked hard to remain flexible in this respect, which is probably why it’s relatively easy for me to switch from Windows 8.1 to Windows Phone to Android to OS X to iOS. Each platform has its different ways of doing the same things (and some platforms do more things than others), but my approach has been to simply accept these differences rather than trip over them (even when I don’t like the way one platform does something). The only time I get stuck in moving from one platform to another is in terms of muscle memory–after using my Windows 8.1 tablets, for example, I find myself tapping at the screen on my MacBook Air and expecting things to happen. Of course, there’s nothing that says anyone must exhibit such flexibility. Not everyone wants to make a living writing about technology, nor even approaches technology as a hobby. For many people, they just want to get their work done, and this only becomes a problem when they’re so stuck in one environment that they fail to see what else is available. I think this is one of Microsoft’s key challenges, in fact–convincing people to recognize that Windows 8.1 tablets offer more in terms of productivity than iOS or Android tablets. Even then, however, many people seem fine with giving up productivity gains if that means avoiding the time and energy required to learn something new. In any event, I agree that Windows 8.1 is much easier to learn than people think it is, and this video does a good job of making that point.